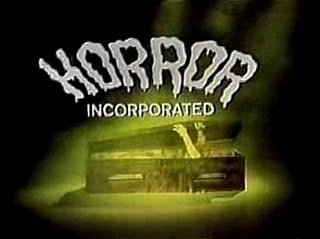 Synopsis: Amos Bradford (George Zucco) is the proprietor of an inn in upstate New York, close to the Canadian border. The inn is called the Black Raven and, we learn, "The Black Raven" is Bradford's underworld handle as well; every criminal seems to know who he is. Bradford is a sort of fixer, who can help wanted men disappear into Canada; but unlike most of his mobbed-up clients, he appears to be an independent player, without loyalty to any particular syndicate. One dark and stormy night, Bradford receives an unexpected visitor: a man named Whitey, who comes in the door with a gun and a beef against Bradford. 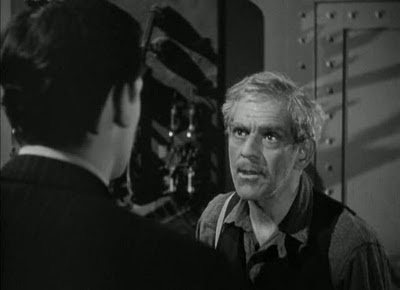 It seems the Black Raven had double-crossed Whitey and sent him to prison; but before Whitey can take his revenge he is overpowered by Bradford's handyman Andy (Glenn Strange). They tie Whitey up in the back room, planning to return him to the authorities and the ten-year-sentence he still has to serve, when another man arrives. The man asks for help getting across the border and shows Bradford the front page of a New York paper: the man is a fugitive named Mike Bardoni. Bradford asks why a big mob figure like Bardoni would be trying to flee the country, and Bardoni replies that he has fallen out of favor with mob boss Tim Winfield and is now on the run. 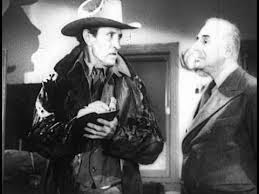 Bradford convinces him to book a room at the inn, as there can be no crossing the border tonight as long as the storm is raging and the bridges are all underwater. Soon another visitor arrives: nervous milquetoast Horace Weatherby, like Bardoni, has learned that all the bridge crossings into Canada are washed out in the storm, and he must stay at the Black Raven for the night. Weatherby carries a satchel that he is unwilling to part with; suspicious, Bardoni "accidentally" knocks it to the floor, where it briefly opens to reveal $50,000 in cash. Comments: This likable thriller shares a lot of DNA with last weeks' The Mad Monster. 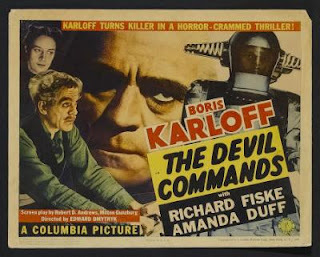 Both are PRC productions, both are are directed by Sam Newfield, and both star George Zucco and Glenn Strange. But in fact the films are quite different in tone. 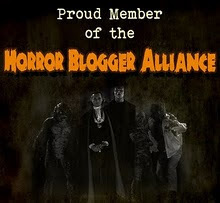 The Mad Monster attempted to ape the classic horror films of Universal. 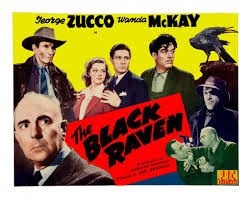 The Black Raven, by contrast, tries to emulate the hard-bitten crime dramas of Warner Brothers. In fact, The Black Raven might be considered a low-rent interpolation of Casablanca. Instead of a saloon in occupied Morocco, we have an inn near the Canadian border. Instead of letters of transit that allow travel to the United States via Lisbon, we have the promise of safe passage into Ontario. Instead of Nazi apparatchiks, we have New York mobsters. 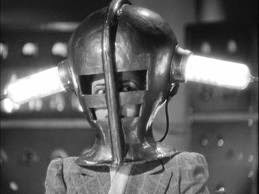 Instead of Humphrey Bogart as the jaded Rick Blaine, we have George Zucco as the jaded Amos Bradford, a free agent who lives by his own code. And it seems that, like Rick's Cafe Americain, everybody comes to the Black Raven -- at least, everybody connected to Tim Whitfield. Now, I will concede that I could be dead wrong about this. I don't know if anyone's ever noticed a resemblance between the two films. But it did occur to me while I was watching this one, and I think it's certainly possible that the screenwriters lifted elements, either intentionally or subconsciously, from Warner's hit film of the previous year. George Zucco really excels as a leading man here; his smooth delivery is reminiscent of George Sanders' debonair character The Falcon (which might have also influenced this picture); Zucco's cultured but slightly sinister demeanor is perfectly suited for his role here. But aside from Zucco the acting is uniformly bland; the most interesting actor on the roster is Charles Middleton, who plays the Sheriff; he was Ming the Merciless in the final Flash Gordon serial, Flash Gordon Conquers the Universe. 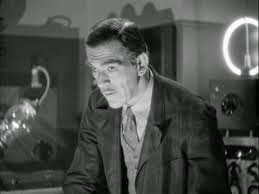 Glenn Strange does just fine as Bradford's handyman / bodyguard Andy, and while it's clear from this performance that he just isn't an actor, he does well enough for a PRC production, and he probably appreciated not being buried under pounds of makeup for a change. And presumably, he wasn't asked to do much in the way of stunt work. THE DEVIL COMMANDS never really caught my fancy, while I've always had a great fondness for THE BLACK RAVEN. It was nice to see George Zucco in a starring role, and not as a villain, with Glenn Strange as intended comic relief (unintentionally comic in THE MAD MONSTER).